In 2017, President Duterte promised that both the rich and the poor are equal in his administration's war on drugs. He meant that a person's socioeconomic status is irrelevant in fulfilling his promise to remove illegal drugs from the face of the Philippines. 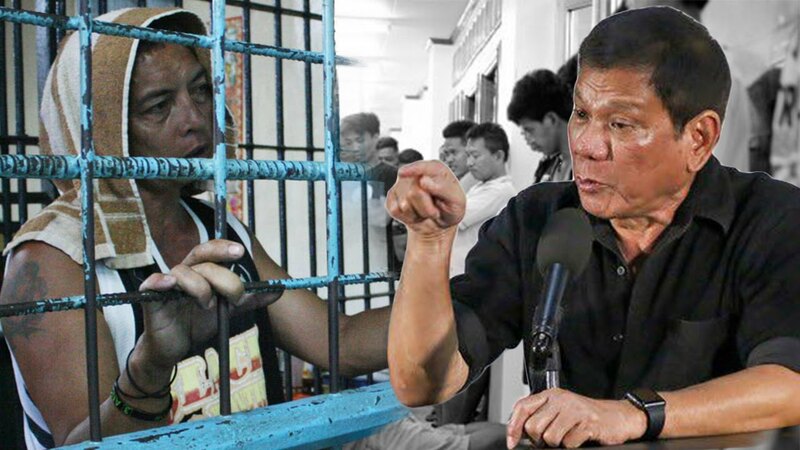 President Duterte said he could not spare the poor from his anti-illegal drugs campaign because that would be a form of selective justice and against the law. However, until today, no drug lord or huge drug personality has yet been jailed. In fact, in March 2018, Senator Bam Aquino slammed the dismissal of illegal drugs charges against Cebu businessman and self-confessed drug trafficker Kerwin Espinosa as proof that the war on drugs only targets the poor. President Rodrigo Duterte, also in March, said there is nothing he can do if poor people are killed in his war on drugs. "When you go after the drug, you have to destroy the apparatus. You cannot stop the apparatus from moving if you do not kill the drug lord and take care… Sabi nila, 'puro mahirap ‘yan'. Eh wala nga tayong magawa eh. Naghihintay siguro ‘yan sila na mag-recruit ng mga milyonaryo, wala namang mayaman mag-istambay diyan sa lugar mo, sa munisipyo mo," Duterte told the country's councilors in Pasay City.